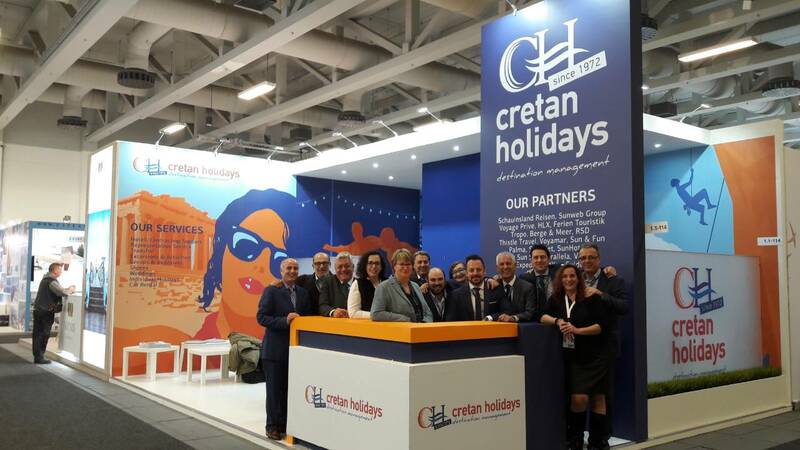 Greek travel agency Cretan Holidays was awarded during this year’s ITB Berlin 2018 travel trade show as the 10th Best Exhibitor in the “Travel Organizers” category. 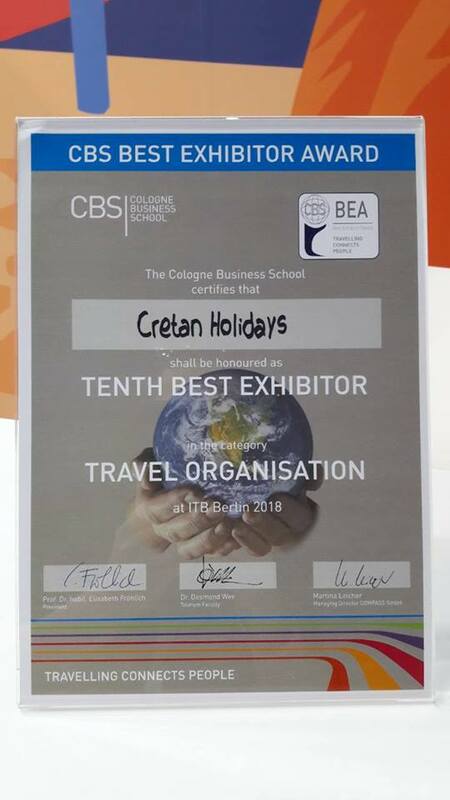 The booth of Cretan Holidays was evaluated by students from the Cologne Business School and stood out among 1,137 booths of five different categories. “We are really proud and happy for this recognition, which we would like to dedicate to our beloved Zaharias Badouvas who is no longer with us,” the company said in an announcement. 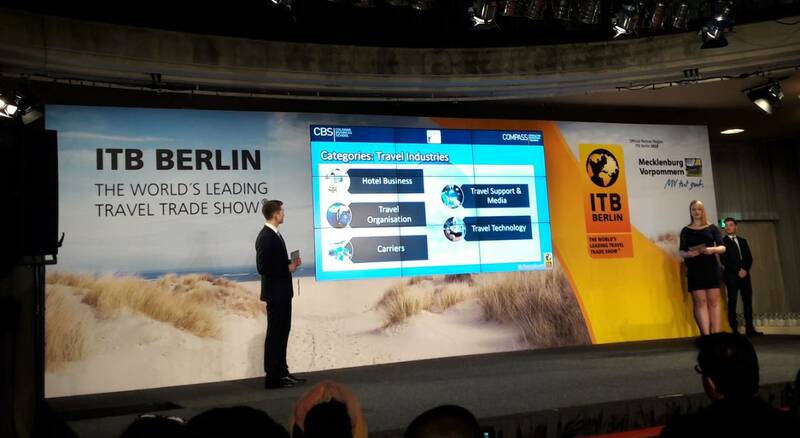 Since 2000, the best exhibitors at the ITB Berlin have been awarded with the Best Exhibitor Awards (BEA). Each year, during the ITB Berlin, 30 students of Cologne Business School evaluate exhibitor booths by using a sophisticated set of criteria. The BEAs event is under the patronage of Klaus Laepple, Honorary President of the Deutscher Reiseverband e.V. (DRV) and President of the Bundesverband der Deutschen Tourismuswirtschaft e.V. (BTW). Cretan Holidays is one of the largest and oldest incoming travel agencies in Greece with activities in the German, Dutch, Belgian and French markets.